With the great fundraising efforts this year from far and wide, Rainbow Ridge and CA Kids are hurtling toward showcasing a truly sustainable living environment. To all our supporters – too many to mention – thank you!!! You have helped transform 5 acres of barren unproductive land into a rich, fertile productive oasis which over 30 kids/local carers/staff now call home. And Rainbow Ridge is not any ordinary home. This home demonstrates how we can live sustainably and enjoy all that nature provides. It showcases how the locals too can transform their land and lives through sustainable practices. See our SPEC enveloped by the vegetation now on site. work and play outside every day - breathing in clean air and experiencing the impacts of nature at its best. The result - WOW!!!! Thank you team. Please Donate now to support our team’s great progress. Last month, Greg Knibbs (Edge 5 Permaculture) and John O’Reilly travelled to Rainbow Ridge to conduct a 2 week training course with our local sustainability team. The growth in vegetation witnessed from only 6 months prior was phenomenal as seen behind John, Neema and some of our little kids. It is true to say we are past the initial stages of slow/juvenile growth. The site is now thriving. We are in the midst of compiling current video footage with that from 5-6 years ago to share our PROGRESS. Coming Soon. The results have certainly surpassed our expectations – not just the size of vegetation, but the fertility of the site and the quality of the soil. Having said that, there is so much more to do. While we have dramatically increased the supply of our food from garden to kitchen, we are not yet at 100%. That’s one goal. We know that growth comes from learning and improved application – our progress is no different. Our training continues to ram home the basics in respect of watering, composting, mulching, weeding, pest management, tree maintenance/pruning and planting/seed sowing. It was great to see Greg and local teacher, John Laizer, motivate and ignite the passion in our workers to learn through intelligent design, practice and the celebration of results. Progress continues with our SPEC (Sustainability Practices Education Centre) – as we are now fitting out the inside rooms and painting. Like any SPEC should, it nestles into the newly created environment beautifully. We look forward to continuing our education with the local community at our new SPEC in 2019. The renovation of Clayton Hall also nears completion with new roof, new verandahs, floors and paint job - a fine meeting hub for our kids, team and visitors. Throughout 2018, we have had success in reuniting some of our CA kids back with extended family – where they continue as part of the CA family while we assist them as required in respect of education, clothing and any other miscellaneous needs. See Esther, Fatael and Johnson preparing to join their Grandpa who with our support has taken on custody. 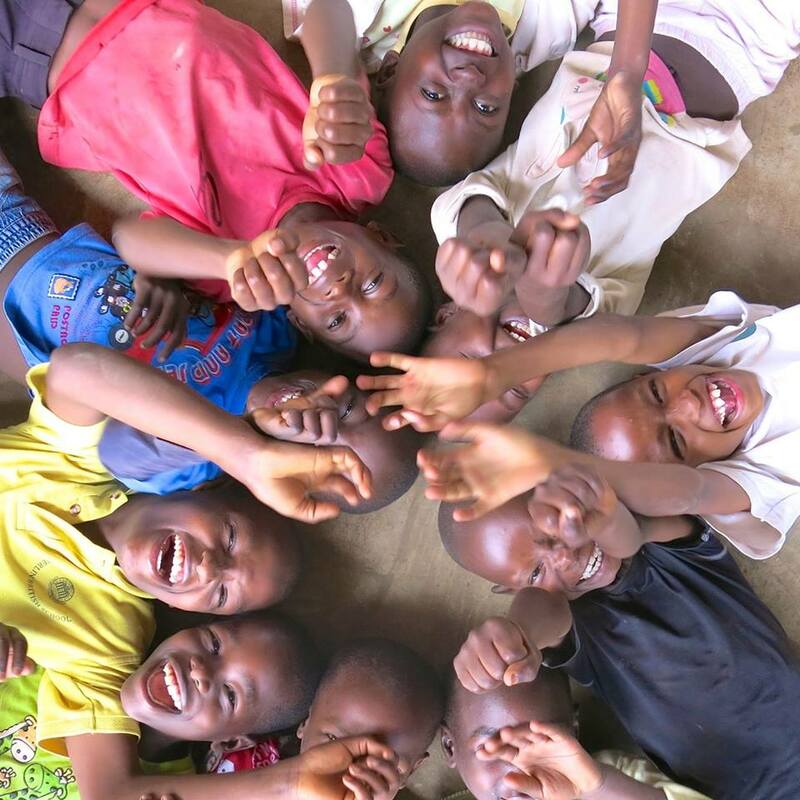 Reintegration of our kids back with family and community fulfils our mission and allows us to take on additional orphaned or abandoned kids who lack adequate family support. Our next newsletter, will share some stories from Neema – our social welfare Mama – regarding the journeys of our kids – those reuniting with relatives and those just joining our family. For now, please consider joining us as a CA parent today and Sponsor a Child so that we can continue to provide the brightest futures possible for CA Kids.